The low-lying Pacific island nation of Kiribati has become a poster child for the threats posed by sea level rise. Now its former president, Anote Tong, is trying to raise money to save it. The Stroke a Chord choir in Melbourne, Australia, is made of people who have lost their abilities to speak normally because of strokes. But thanks to a quirk of the brain, they're still able to express themselves in song. The genteel world of cricket was rocked this week by the death of Phillip Hughes, an Australian star who was seemingly on his way to greatness. Hughes was hit in the neck by a bowled ball, highlighting the dangers of a sport many think of as an easygoing pastime. In the Pacific Ocean, west and south of Hawaii, is what was until recently one of the largest marine sanctuaries on earth. Now, however, it has been expanded — to nearly six times its original size. And scientists are thrilled. Leaders from all over the world have gathered in New York to attend the UN Climate Summit. 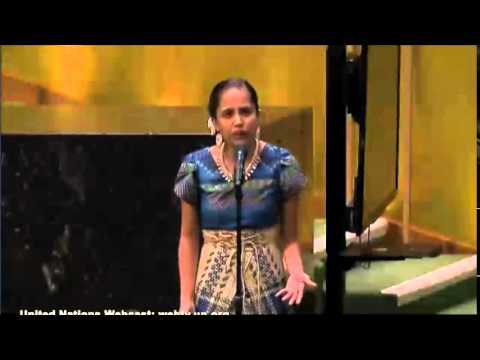 The first thing they heard was an impassioned poem from a mother and activist from the Marshall Islands, a tiny nation in the Pacific that may no longer exists if climate change isn't halted. New Zealand's second biggest city, Christchurch, has suffered its second earthquake in the past five months. Anchor Lisa Mullins speaks with Peter Mitchell of the National Civil Defence Centre, who's coordinating the response to the crisis. About 300 people remain missing in New Zealand in the aftermath of Tuesday's earthquake. 75 people are known dead, with the toll expected to rise. Anchor Lisa Mullins speaks with Ian Maclean of the NZ Ministry of Civil Defense and Emergency Management.